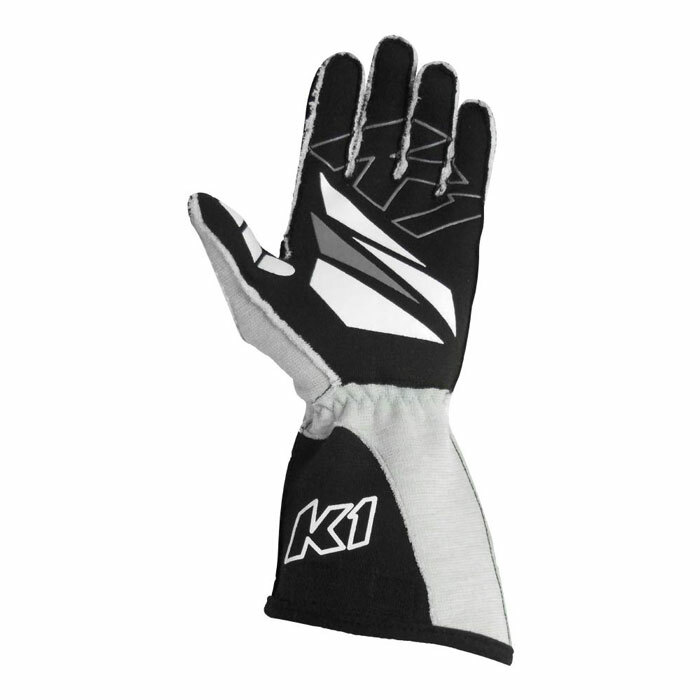 The all new stylish K1 RaceGear GT1 auto racing glove will change the way you feel about auto racing gloves forever. Going away from traditional inner stitched seams on the fingers, we put the seams on the outside obtaining outstanding glove performance. A unique cut will allow it to fit to your hand with ease and most all comfort. 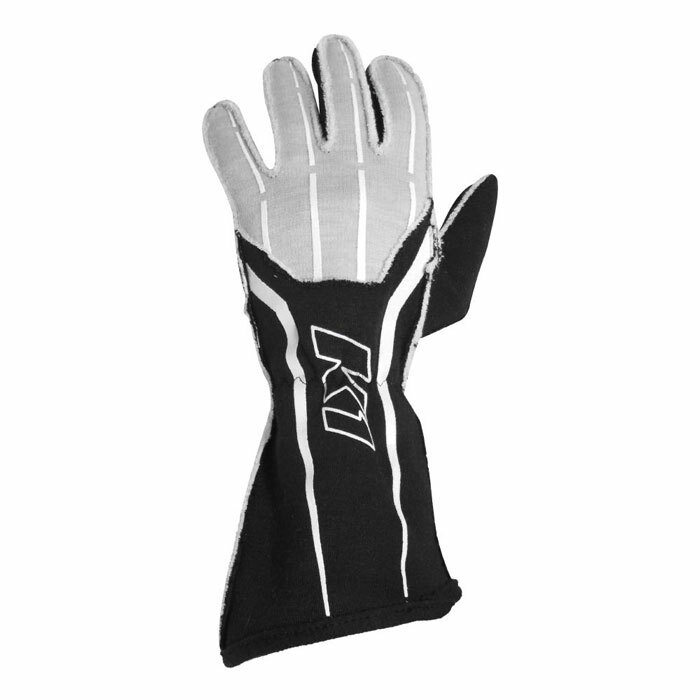 This extremely light weight glove provides excellent fire protection which exceeds SFI 3.3/5 standards. We added a specialized material to the palm for improved grip to your steering wheel which also helps damper vibrations from the race car so you have less hand fatigue while driving.